4 pumps, 2x37m + 2x27m, nine large raft slabs including 2232m3 (NZ Record) over 11 hours. 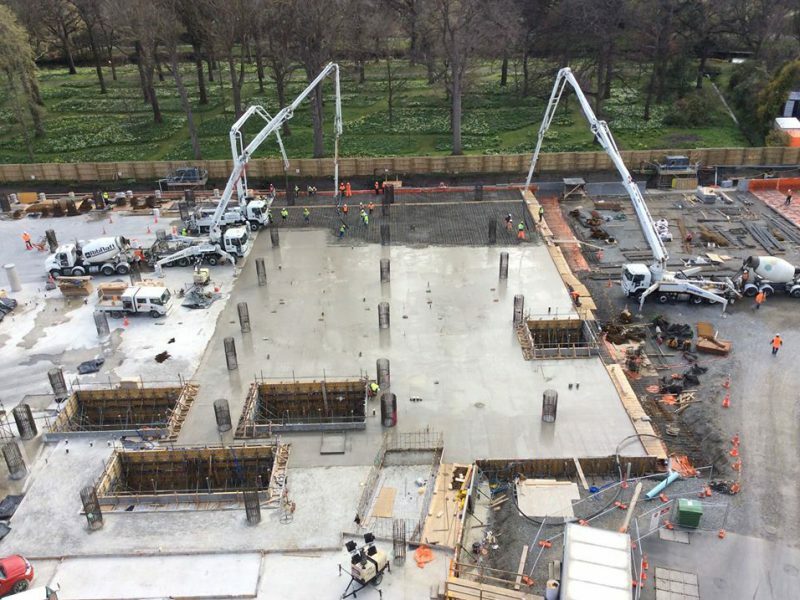 16,000m3 poured in total including Base Columns. 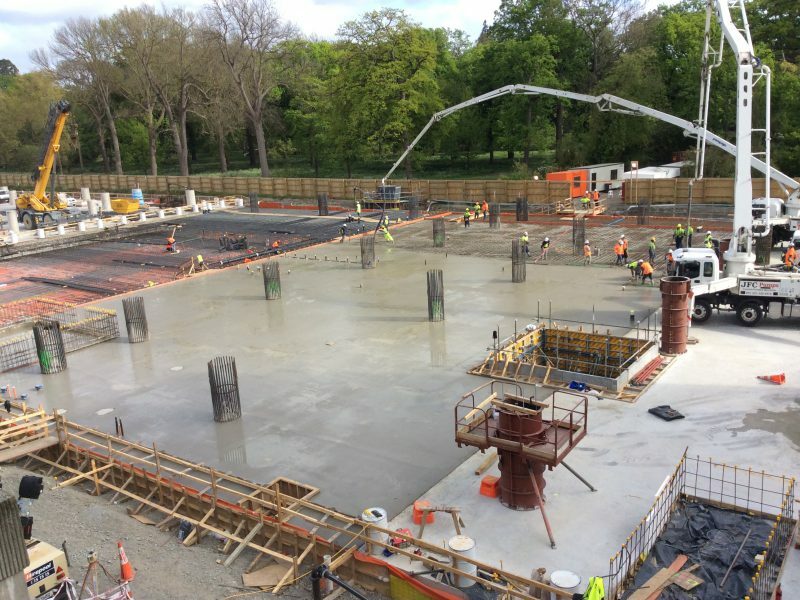 Read the media release from CDHB here. 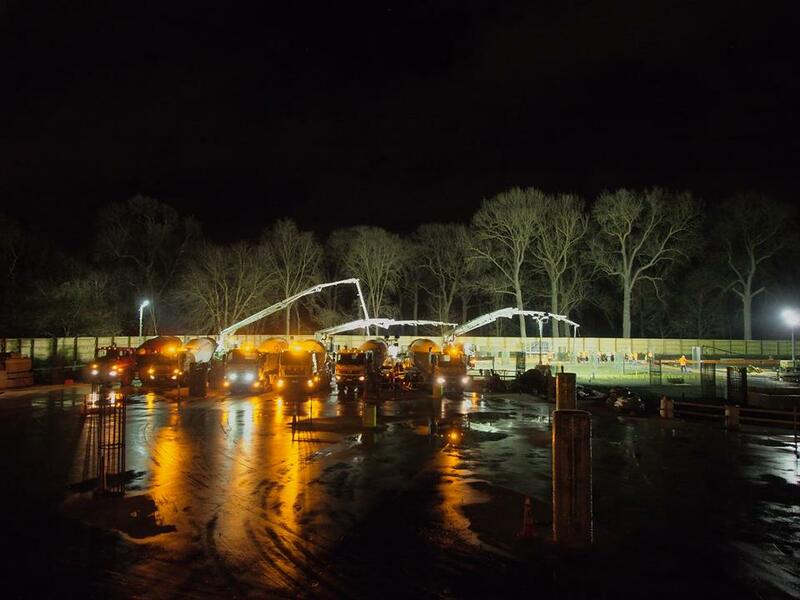 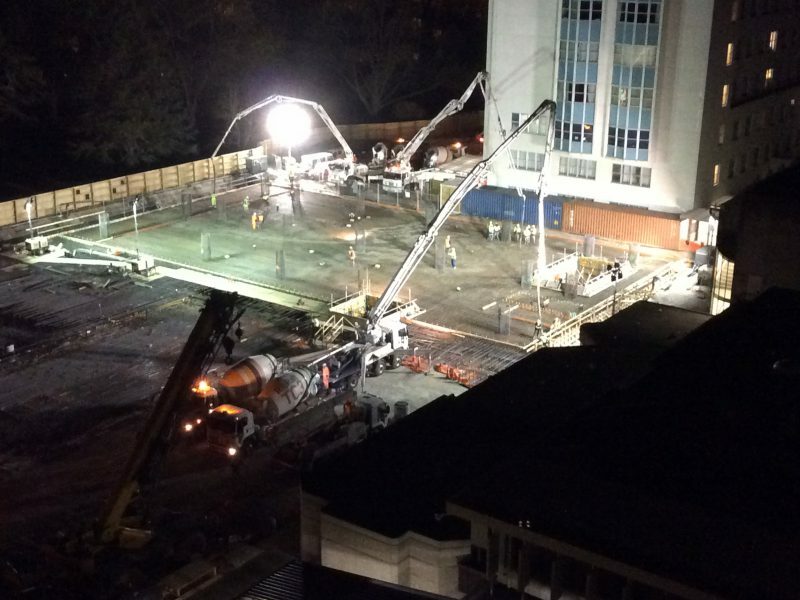 I would like to thank you and your staff for helping us achieve our pour on Saturday. 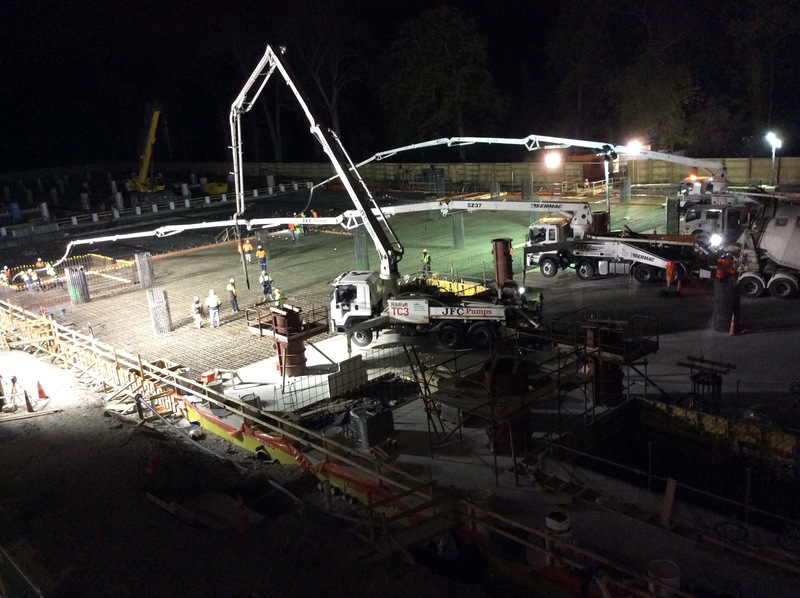 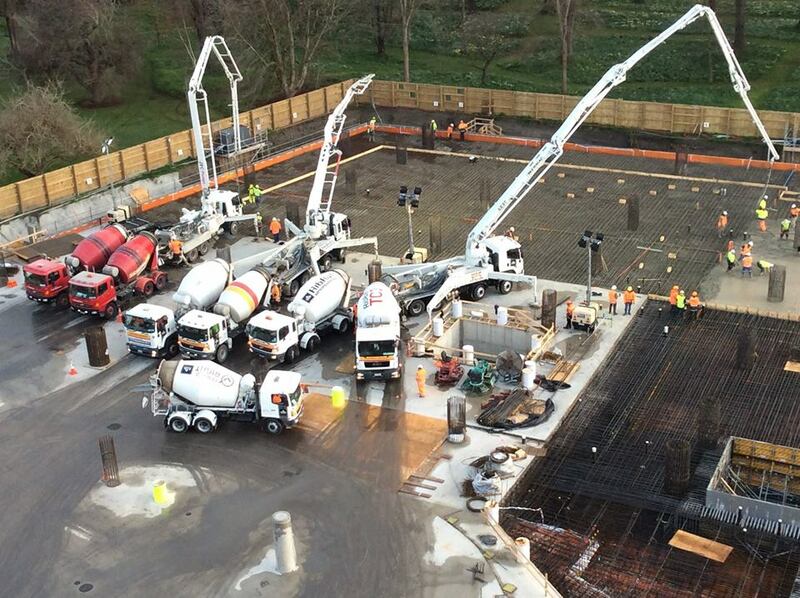 1578m3 of concrete is a massive achievement in one continuous pour and one we can be proud of. 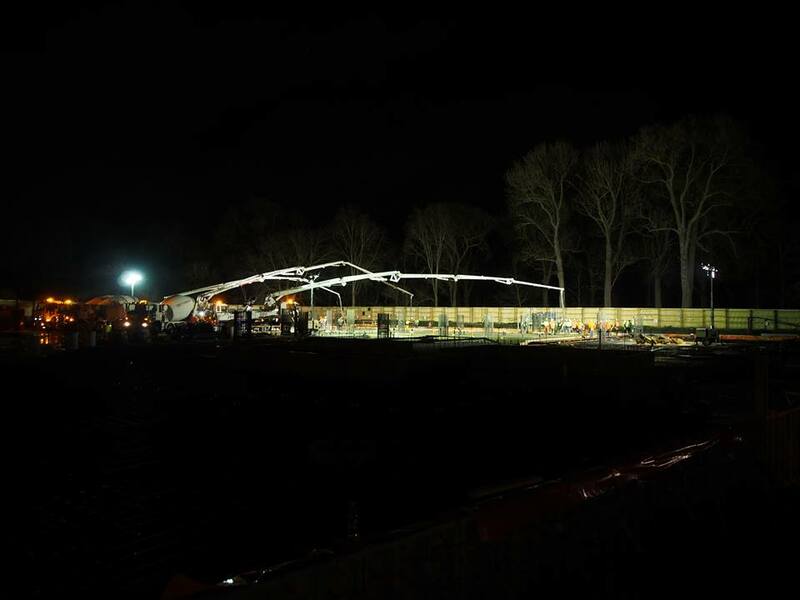 It was a mammoth logistic exercise to organise which was easily done working together and executed smoothly on the day. Once again please extend our thanks to all involved and we look forward to working together with you on this project in the future.